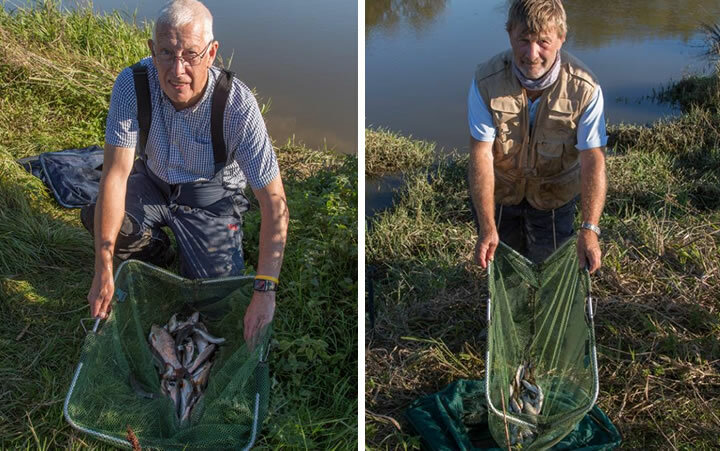 The fourth leg of the Kirkby Bott Trophy was fished on the Arun at Watersfield on yet another dry sunny day with little wind initially. However the wind picked up during the day. When I drove over Bury Hill spectacularly the whole of the Arun valley was covered in mist, however this quickly burned off. 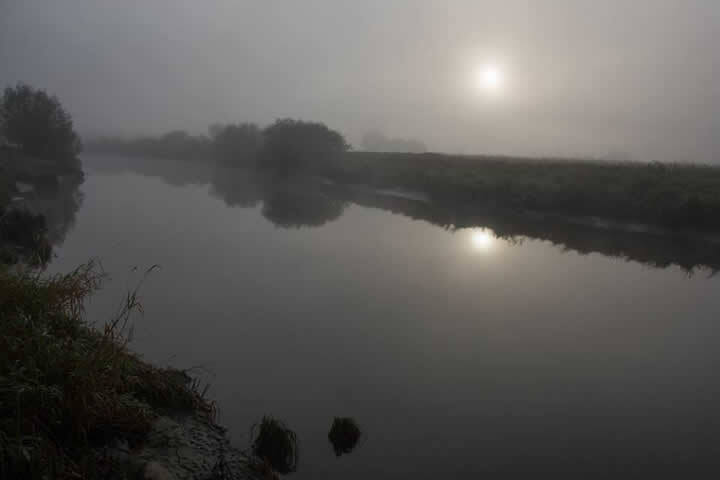 It was misty when the anglers arrived at the river. Half of the match was fished with the tide on the way up with the rest of the match fished on the slack or on the way out. It was interesting that during the up tide the fish fed in the upstream pegs with those on the downstream swims struggling. This was reversed when the tide started to go out. Fishing the Mint Swim was Vince Herringshaw who used the pole to catch 4-14-8 of small roach and dace and win the match. Mick Greenway was in second place and was fishing the furthest upstream swim and caught 4-10-0 of good sized roach and dace. He used a bolo float on the pole it an avon float trotted on rod and line. 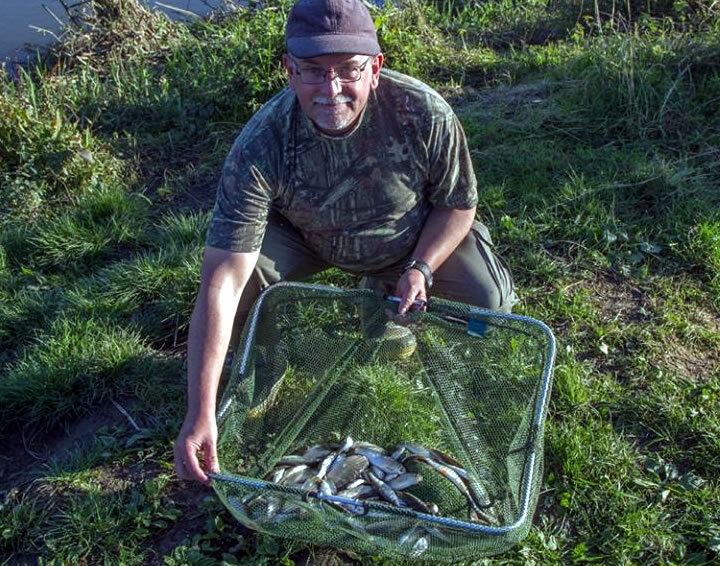 Steve Simmonds was fishing the swim above the Mint Swim and caught 3-5-8 of small roach and dace.